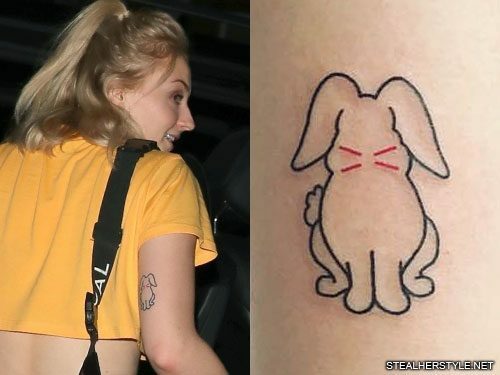 Sophie Turner got a minimalist rabbit tattoo on the back of her right upper arm from artist Curt Montgomery in March 2018. 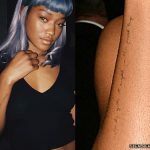 She hasn’t publicly explained its meaning, but it may have something to do with fiance Joe Jonas. The very first photo ever seen of the couple, possibly the first time they met, was at a Halloween party in 2016 where Sophie was dressed as a rabbit and Joe wore a dalmatian costume. But maybe we’re reading too much into this and she just thinks bunnies are cute. 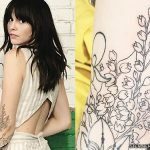 Joe Jonas got his own tattoo at the same featuring a drawing of a woman that many people thought looked like Sophie’s Game of Thrones character Sansa Stark. 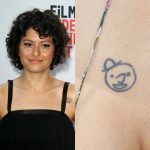 However Joe has denied this, telling The Fix “It’s quite funny and a little disappointing probably for a lot of fans of my fiancée that it’s really just a picture of nothing.” He saw the drawing in Curt Montgomery’s studio and thought that it looked cool. 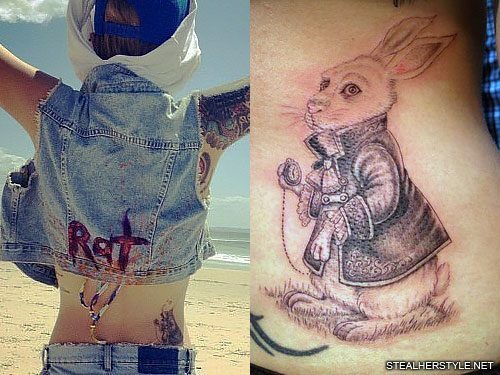 Ruby Rose has a rabbit tattooed on the right side of her lower back. The white rabbit holding a pocket-watch is inspired by Lewis Carroll’s classic book Alice’s Adventures in Wonderland. 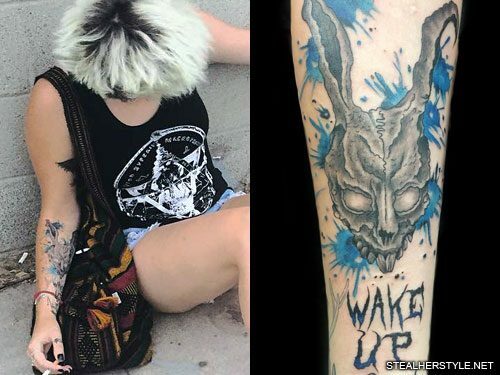 Paris Jackson has a large tattoo on her right forearm of the Frank the Rabbit mask from the movie Donnie Darko and the words “Wake Up.” The bunny’s head is tattooed in grayscale, with splatters of blue paint behind it. 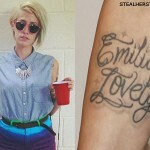 After turning 18, Paris Jackson covered herself with a large amount of tattoos in a short period of time. This one on her arm is the largest so far. 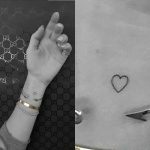 Responding to critics, she wrote an instagram post explaining that her tattoos cover up scars from self-harming and replace them with meaningful works of art. 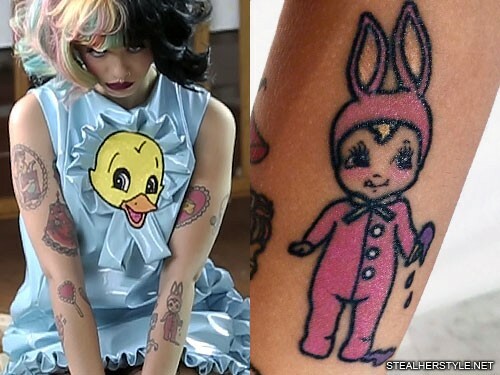 the craftsmanship of tattoos will always be a controversy. some people like them, some people absolutely hate them. i appreciate art, i always have. 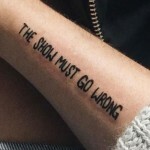 especially when that art means something to me. 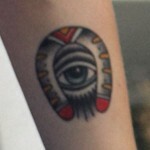 today i can look at my inner forearms and see art that has meaning for me, i don’t see a dark past anymore. my scars and past of self-hatred have been covered by loving marks, creativity, ingenuity.. and depth. 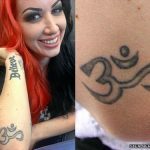 sure i will always carry my past with me, but i see ink as a way of changing for the better, always improving. they represent strength for me. i look back at my old self and then i look in the mirror, and i see a fighter looking back at me. i’ll always keep fighting, and encouraging others to stay strong. we all go through hell every now and then but it makes us the warriors of love we were meant to be. so to anyone struggling, it gets better. you’re not alone. 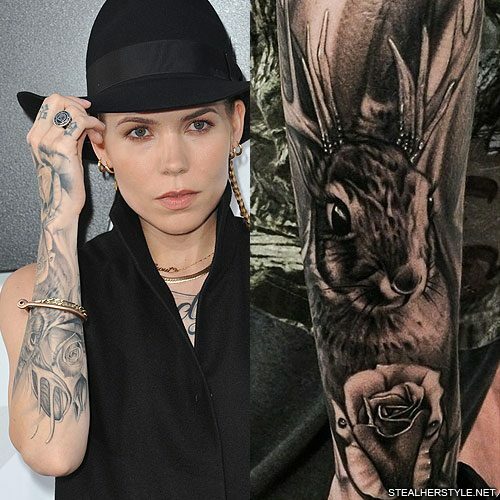 Skylar Grey expanded her right arm sleeve with this jackalope (rabbit with antlers) and roses on the back of her forearm. 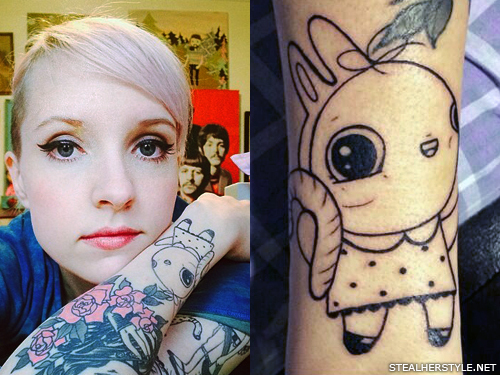 It was done in February 2015 by Tye Harris, who also did the wolf on the inside of her arm. 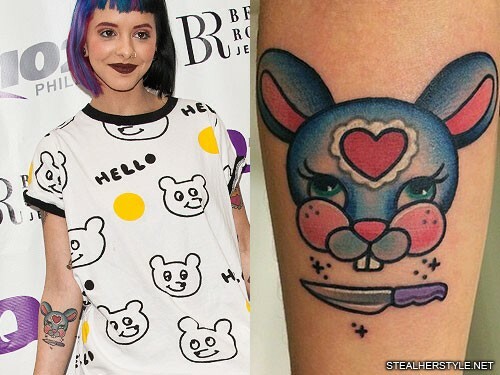 In February 2015 Melanie Martinez got this tattoo on her right forearm of a blue cartoon rabbit with a heart on it’s head. 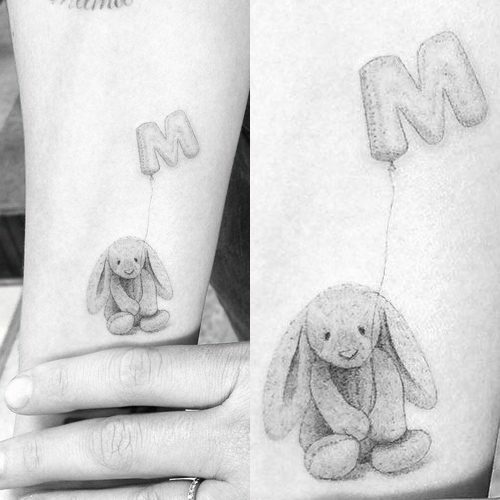 Melanie shared with Fuse the story of this tattoo, which is inspired by a pet rabbit which was her first pet as a kid. 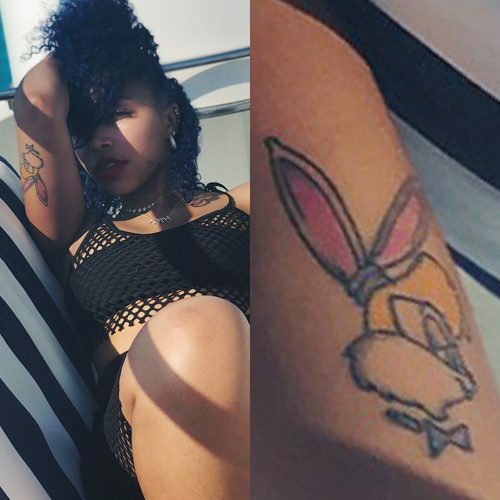 She included a knife in the tattoo below the rabbit’s head because her pet was decapitated by another rabbit. This one I got for my bunny. It was actually my first pet ever. And then I got a dog and my parents told me I couldn’t have a bunny and a dog, so we all decided to give the bunny away to a friend of a friend who already had a bunny. So we thought “It’ll have a friend, that’s amazing, that’s awesome.” So they left my bunny and their bunny in the backyard unattended for like four hours. They ended up finding their bunny in their neighbor’s backyard and my bunny’s head was in their yard.